A paint device for rendering using Scalable Vector Graphics (SVG). 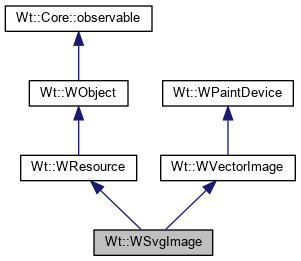 The WSvgImage is primarily used by WPaintedWidget to render to the browser in Support Vector Graphics (SVG) format. Create an SVG paint device. If paintUpdate is true, then only an SVG fragment will be rendered that can be used to update the DOM of an existing SVG image, instead of a full SVG image.